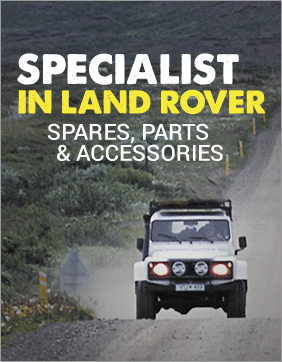 Trillick Auto Parts Centre specialises exclusively in all Land Rover Parts, from Land Rover Spares and Custom Exhausts to Land Rover accessories such as car mats and towing kits with customers through the UK and Ireland. Our main aim is to supply owners and enthusiasts with all the Land Rover spares and parts they require for all models of Land Rover. We follow a true Land Rover approach, and aim to sell and deliver our parts to anyone, anywhere, at any time, twenty-four hours a day and are an established supplier of Britpart Land Rover parts, giving Trillick Auto Parts Centre the buying power to guarantee the best prices and most comprehensive range on the market. If you have any questions regarding any of our Land Rover spares or parts please do not hesitate to call our office where one of our highly skilled and friendly members of staff will be able to assist you.